Starting with the spring of our sophomore year, when I would go to the Daily Herald office and do "copy boy" functions before school, I've now been working for newspapers for 37 years. Who knows how much longer they will exist, but it has been fun. I was able to go to the recent Winter Olympics in Russia, which I was dreading, but it turned out to be a good experience. One of the pictures in the yearbook shows me reading the Tribune, and I've worked there 23 years. Of course, that just makes me think I should have been shown doing something that reflected bigger ambitions, since I fulfilled that one. An untold story: I'm the only person who ever received a 15-yard penalty without actually being on the football team. In student government, we created this elaborate halftime show for the homecoming game vs. Springville, topped by a flaming "P" in the northeast corner of the stadium. Well, by the time the band performed and the royalty were introduced and I did some announcements and the "P" was lit, we exceeded our halftime allotment by about 20 minutes and the team got penalized. It certainly didn't help the Bulldogs' cause, but Darwin Dobson and I had a great time watching it all unfold from the press box. I think about our senior year all the time, picturing what was happening 35 years ago that day. Kurt Kragthorpe has a birthday today. Nikki Pino posted a message on Kurt Kragthorpe's Profile. Happy Birthday Kurt!!! Hope you have a wonderful day!!! Kurt Kragthorpe added a comment on Profile. New comment added. Nikki Pino posted a message on Kurt Kragthorpe's Profile. New comment added. 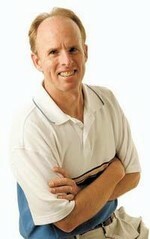 Kurt Kragthorpe updated profile. View.